A group of researchers have developed a next-generation, more economical perovskite-based solar battery, thereby creating the world’s most efficient solar cell. 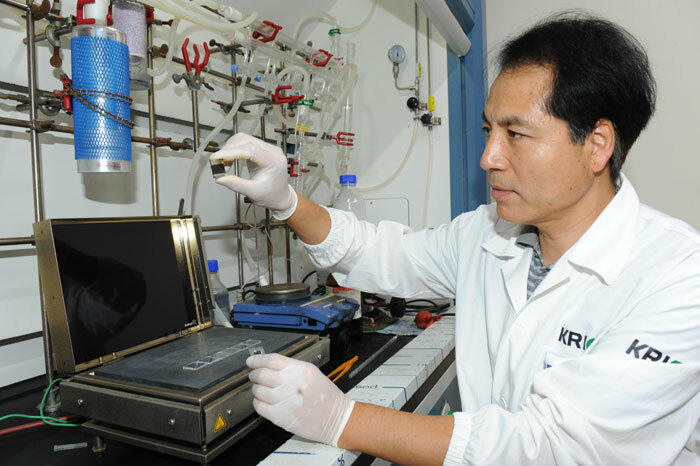 Led by Professor Seok Sang-il of Sungkyunkwan University (SKKU), the team announced on January 9 that they have successfully developed a new perovskite solar cell technology. The newly developed solar cells are priced at one third the price of existing silicon solar cells and show an efficiency performance rate of 20.1 percent, equivalent to existing silicon solar cells. This is now the most efficient solar cell officially recognized by the U.S.-based National Renewable Energy Laboratory (NREL). Currently, silicon solar cells account for about 90 percent of the solar cell market. Silicon solar cells are made from high-purity silicon. 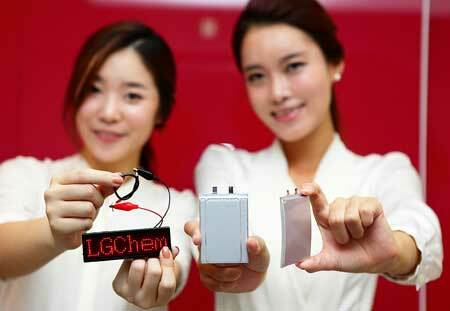 They are highly efficient at transforming solar energy into electric energy. Their weaknesses, however, is their complicated production process and expensive price. GS Caltex, the nation’s second-largest oil refiner, has been steadily investing in R&D to acquire new future growth engines. The petrochemical company is looking to expand its product portfolio from its current foothold in petroleum and petrochemicals. The Central Technology R&D Center, located in the Daedeok Research and Development Special Zone in Daejeon, is playing a core role in its innovation process. 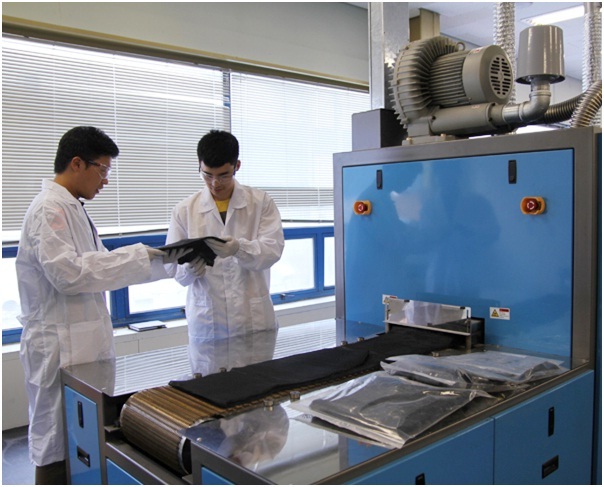 Developing new chemical materials is one of GS Caltex’s main strategies. In particular, the company named carbon fiber as the newly-developed material that deserves the most attention. At four times lighter yet 10 times stronger than steel, carbon fiber is a next-generation material produced by carbonizing the thread form of “pitch,” a residue left over in the petrochemical production process. Carbon fiber is widely used in the automobile and aerospace industries due to its low weight, high strength and outstanding elasticity. Moreover, high oil prices and demand for environmentally-friendly materials are prompting the use of carbon fiber instead of glass fiber in the fiber-reinforced plastic industry. 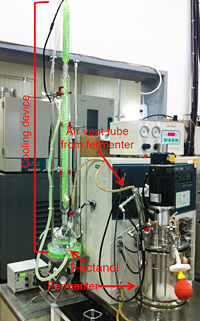 A fermentation system developed at KAIST is used to produce short-chain alkane for gasoline from genetically engineered microorganisms. A team of researchers has developed a technology to extract gasoline from microorganisms fed with sugar through DNA modification, the science ministry announced Monday. It is the world’s first such feat. The research team at the Korea Advanced Institute of Science and Technology (KAIST) engineered the gene in E.coli responsible for fatty acid metabolism so as to enable them to produce short-chain alkanes, saturated hydrocarbons that are a component of gasoline. The technology of producing short-chain alkanes is considered a meaningful breakthrough because it serves as a platform for alternatives to various petrochemical products including surfactants and lubricants. The discovery was published by Nature magazine early morning Monday in Korean time. The KAIST team has so far succeeded in producing 580 milligrams of gasoline from one liter of glucose culture solution per hour. However, this is too small for the technology to draw commercial interest from the petrochemical industry. 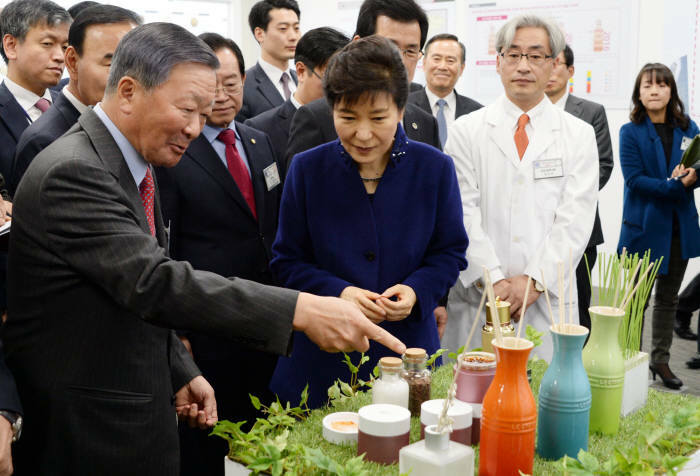 South Korea enacted new legislation that regulates registration and evaluation of chemical substances in May this year, raising the concern that the new law could undermine the nation’s industries that use chemicals, including the electronics, car, shipbuilding and steel sectors. The new law on regulation and evaluation of chemicals (RECH) was separated from the previous comprehensive chemical substance control legislation. The RECH’s key departure from the prior law is that the new legislation does not permit exceptions in the registration of new chemicals. So far, companies have been exempt from registering chemicals if the substance is used in a quantity under 100 kilograms per year, or for research and development purposes. Most countries, including the US, Australia, Canada and Europe, have such exemption provisions in their regulations. As of now, Europe has the strictest chemical regulation named REACH – Registration, Evaluation, Authorisation and Restriction of Chemicals – which allows companies to forgo the registration of chemicals if the substances are used in one ton or less amount. Waste water to nurture algae, food waste to make plastics and algae to produce chemical building blocks. These are just some of the examples that the Netherlands is undertaking to turn agricultural and food waste and algae into high value product. On September 3, a group of Dutch expert in the new field will be in Korea to present their ideas, knowledge and commercial products. On that day, there will be plenty of time to exchange ideas with them. General information about this topic is available in English and Korean. If you are interested to attend the seminar and meet one or more Dutch companies during or after the seminar, please register at: http://bit.ly/BBE-seminar. After registration, you will be contacted to set up a time for the meeting. 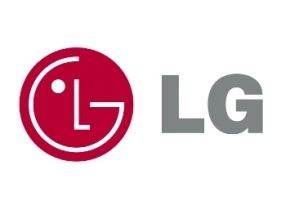 South Korea`s largest importer of liquefied petroleum gas (LPG) SK Gas announced that it inked a propane dehydrogenation (PDH) process deal with the US-based petrochemical process technology patent holder Lummus Technology to introduce a PDH process technology. The PDH process technology involves key steps in the production of propylene using LPG including engineering, trial operation and construction-related services. Propylenen, a raw material which is used to produce auto components, electronic products and textiles, has been in high demand. The deal will enable SK Gas to acquire PDH technology process, an achievement which came a month after the Korean company announced its entry into the PDH business at the end of January. SK Gas, after the design stage is completed, will begin the construction of PDH factory on a full scale. SK Gas expects to cut down on its initial investments in the PDH business with the possession of the world’s largest LPG storage facilities in Ulsan and joint-use of docks and relevant facilities with partners.